Donated Canadian bikes making a difference in Namibia. One of the biggest challenges for people living in sub-Saharan Africa is getting around. Very few own cars and the majority live in small villages connected by a network of footpaths that stretch across the savannah. It is often more than a day's walk to the closest clinic or school. 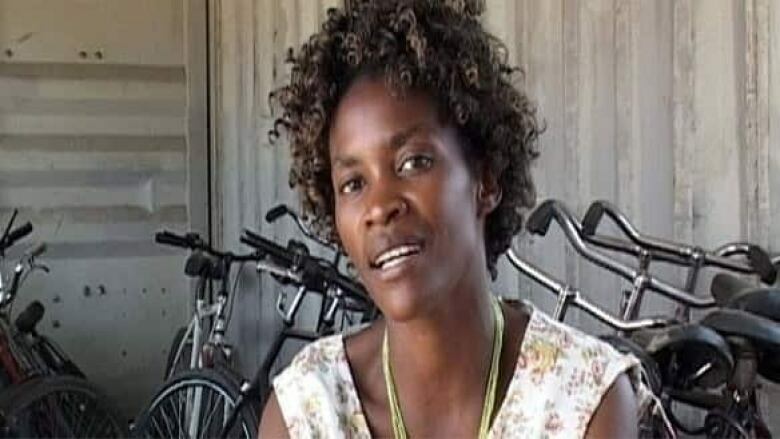 But for some villagers in northern Namibia, second-hand bicycles from Canada have made their world a little more manageable and much more interconnected. The bicycles arrive in steel containers and this latest shipment ended its long trans-Atlantic journey here in Rundu, at the House of Love, a centre for children who have lost their parents to AIDS. The children stand proudly beside their new bikes, waiting their turn to inflate the tires with a hand pump. Coordinator Salome Victor tells me that these kids would not be going to school if it weren't for the bicycles as most could not manage the distances. "The bikes have changed the lives of these children," she says. 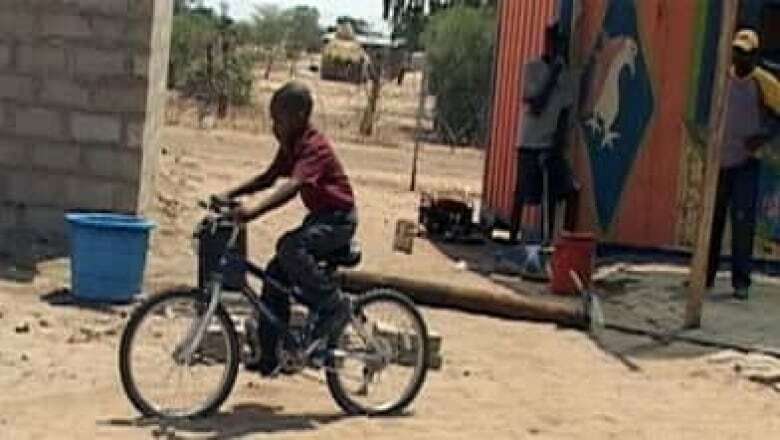 The bicycles are also changing the lives of Namibia's health-care workers. A country where one in five adults is infected with HIV/AIDS, and where clinics are not always nearby, the bikes are a handy way for medical workers to expand their reach. And they are having an impact on other groups as well. When the bikes arrive, the shipping containers are transformed into workshops by a local group called the Bicycle Empowerment Network. At these sites, young people from local villages are trained as bicycle technicians and are encouraged to earn a living maintaining the hundreds of bikes that their former Canadian owners no longer want. Among the bikes that have just arrived are two men in tourist attire, sweating profusely over a wheelbarrow as they mix cement. Their gleaming white skin stands out almost as much as the massive 15-metre deep steel container now nestled among the traditional thatched huts that surround the House of Love. Ron Watt and Richard Waterhouse are on vacation, brought here, like the container, by their wives. They have been dragged 10,000 kilometres from their homes in Ottawa to help finish what Seb Oran and Sandra Gattola started a year ago. The two women were inspired by the work of a Canadian non-profit organization called Bicycles for Humanity. So they began a campaign to persuade Ottawa residents to haul their old, unwanted bicycles out from the garage and put them to good use in Africa. They collected more than 300 bicycles. Oran says they were bubbling with excitement when they purchased their first shipping container. "The guy who delivered it thought we were crazy. We told him please take a picture of us with this container, and he said but why? We said to you it's only a container, but to us it represents empowerment. It represents hope." The Bicycle Empowerment Network in Namibia, or BEN Bikes, as it is often called, was founded by an Australian, Michael Linke. He says that between contributions from Bicycles for Humanity and other initiatives by the Canadian embassy in South Africa, the program is now 80 per cent Canadian supported. Linke spends most of his time making sure the bikes get to those areas most affected by the HIV/AIDS epidemic. "There's a 20 per cent prevalence of HIV across the country. But in some of the regions where we work, up to 40 per cent of the population is HIV positive." On this particular day, Linke is delivering a brand new Supercycle mountain bike, donated by a church in Ontario, to a small clinic in the village of Sambyu. The clinic runs an HIV testing centre and has an outreach program to encourage more people to come in from the bush to get tested. Mavis Chizyuka is the head nurse at the clinic. She says it's important to reach those people who need to begin antiretroviral drug treatments early. Given the clinic's extremely limited resources, the bicycles are now one of their most useful tools in the fight against AIDS. "Transportation is very difficult here," she says. "Most of the villages are very far away. So if one has a bicycle, it's something really big." Most people in this area, which borders Angola, live on less than a dollar a day and for many their livestock is their only means of transportation. It's common to see oxen dragging entire families along gravel roads on wooden sleds. Linke says bicycles offer an alternative form of transportation that people here can afford to keep. "We have this idea that people in African villages would just want cars so they can get around. But no, they understand completely that it's beyond their capacity to maintain them." Purchasing and maintaining vehicles has proven challenging for the region's hospitals as well. As a result, with only one emergency medical vehicle within a 100-kilometre radius, bicycle ambulances are being introduced. They are a lightweight trailer with a removable stretcher that attaches to a regular bicycle, much like the common child trailer you see in many parts of Canada. As Linke helps technicians unpack the new bicycle ambulance, one donated by Rotary clubs in Vancouver, he admits it has limitations in terms of distance and terrain. 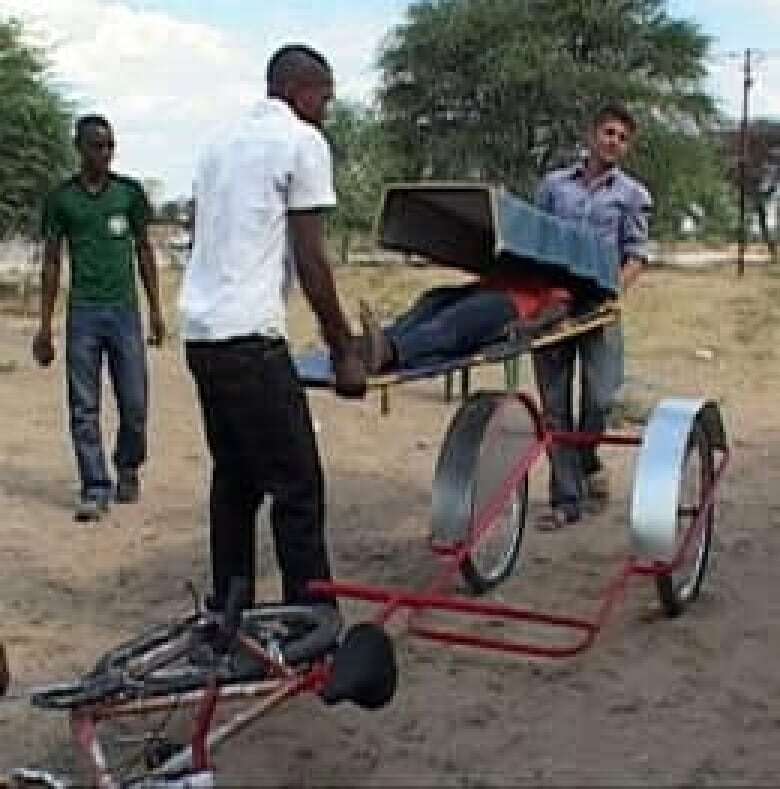 But, he says, the bike ambulance offers health-care workers and volunteers a reasonable way to transport sick people from remote areas to local clinics and hospitals. "Other options are wheelbarrows, animal-drawn transportation like donkey carts and oxen with sledges. These are not great options. At night time, for example, the animals get really spooked. So what happens, you got someone critically ill and a bolting oxen cart takes him into the bush!" So in these isolated villages in northern Namibia, the once discarded bicycles that cluttered up so many basements and sheds in Canada, are proving their worth. Helping some people make a living. Helping others stay in school. And for those living with HIV/AIDS, the bicycles are helping them get the help they need.